What if PEACE was the first thing we heard from Jesus every time we encountered Him? 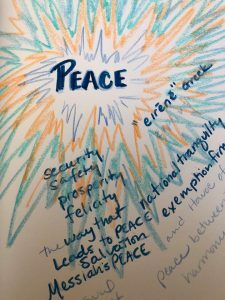 What if PEACE was the first thing we RECEIVED from Jesus each time we met Him? How would my life be different if I would receive PEACE rather than complain, moan, or live in fear? How would your life and my life be different if we lived in PEACE rather than in anxiety? What if one of the biggest gifts of Resurrection, of Easter, is PEACE? How does this change me and you? How do I receive this gift? How do you? Do you even see PEACE as a gift to be received and opened? Can we start to Practice PEACE in our everyday lives? What does it look like in my life? What does PEACE look like to live in it & to live it out? Take some time to consider this. As a follower of Jesus, I long to live this out, but I need help. rather than fear and hate. I am a learner in all of this! Who in your life is living out peacemaking and bringing PEACE to our world? Here are a few websites that are helping me learn about being a peacemaker. are two of my peacemaking heroes. This weekend, take some time to consider what PEACE means to you. 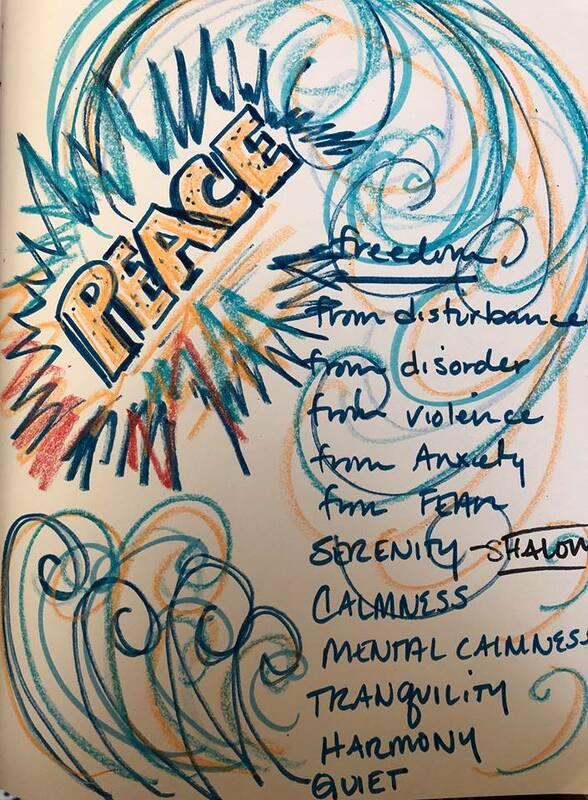 You might even do what I did and look up the definition of the word, or make your own list of what PEACE means to you and gives to you. 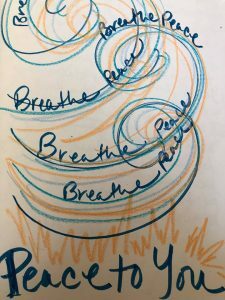 And take time to Breathe it in! Allow Jesus to fill you with His PEACE today and each day. Receive the gift of PEACE!